Horus Mastering Studios is the commercial recording, mixing and mastering facility run by Singapore sound engineer Leonard Fong. We worked with Leonard to design the sound isolation for his studio. The studio includes a live room for instrumental and vocal work and a control room. A studio acoustic window was situated to the left of the console to allow sight into the vocal booth. The studio was designed using studio grade room-in-a-room construction using primarily Vicoustic Isolators. A crucial element of the build was the set of custom designed interconnecting acoustic doors. 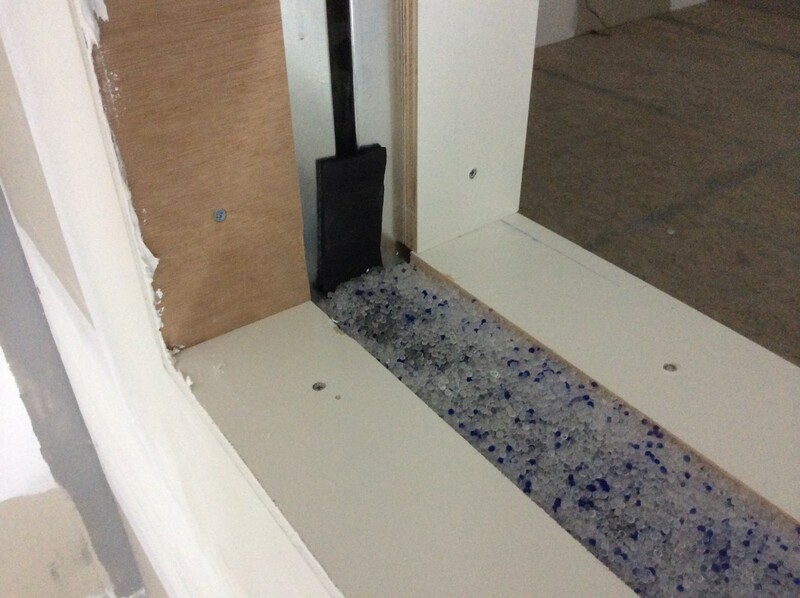 Under Construction: Inside look at the internals of a custom 2 pane recording studio window. Blue and white pellets are color-indicating silica gel. The acoustic treatment was totally designed by Leonard with some input from our consultant Adrian Lo. Noise criteria (NC) levels were all kept within professional studio limits of below NC20 and Reverb Times were comfortably in the 0.3 second range in the control room.